James Cobb is a trial and appellate lawyer and a founding partner of Caplan Cobb LLP. James specializes in complex business disputes, constitutional and tort litigation, and federal and state appeals. James’s cases have been the subject of news articles all over the country, including in the Atlanta Journal-Constitution, the New York Times, the Los Angeles Times, and the Washington Post. In 2015, the Fulton County Daily Report named James to its list of the 40 lawyers in Georgia who are “On the Rise.” Martindale-Hubbell has given James its highest rating of AV Preeminent for legal skills and professional ethics; Georgia Trend magazine has named him to its list of the Legal Elite in Georgia for business law, corporate law, and trial practice; and Super Lawyers magazine has named him to its list of Super Lawyers in business litigation. Before founding Caplan Cobb, James practiced with Rogers & Hardin LLP in Atlanta and Ropes & Gray LLP in Boston. Immediately after law school, he served as a law clerk to the Honorable Jacques L. Wiener, Jr., of the U.S. Court of Appeals for the Fifth Circuit in New Orleans. James and his wife, Gretchen, live in Decatur with their four sons. James is actively involved in the Decatur and Atlanta communities–among other things, he serves on the Board of Trustees for the Wylde Center; on the Corporate Leadership Council of the Fernbank Museum of Natural History; as the Chancellor for the Episcopal Church of the Epiphany; and as an active member of the Rotary Club of Decatur. Business Litigation & Counseling. James has significant experience representing plaintiffs and defendants in a wide variety of business disputes, including class actions, business breakups, partnership disputes, antitrust and RICO actions, employment-related disputes, corporate-governance matters, contract disputes, securities and banking-related actions, fiduciary litigation, product-related disputes, and internal investigations. James also acts as general counsel to certain of his business clients, advising on legal and business issues as they arise. Appeals. James has a diverse and wide-ranging appellate practice that covers civil and criminal appeals in both state and federal courts. He started his appellate career as a law clerk to a federal appellate judge, and he draws on that valuable experience in every appeal he handles. James’s written and oral advocacy has been praised as “excellent,” “outstanding,” of “the highest quality,” and “masterful.” After a recent oral argument before the Supreme Court of Georgia, one lawyer described James’s argument as “quite possibly the finest example of appellate advocacy I’ve heard; it was on par with the best [Supreme Court of the United States] appellate advocate.” You can watch a video of that argument here. Constitutional & Tort Litigation. James regularly represents clients in complex tort and constitutional litigation. His tort experience covers the full range of economic torts, including class actions alleging economic loss, securities actions, and antitrust and RICO actions. James’s constitutional expertise includes both individual constitutional rights and structural constitutional issues, such as the separation of powers and law of democracy. James has served as lead counsel in multiple actions under 42 U.S.C. § 1983 alleging violations of various provisions of the Bill of Rights. James often represents parties in partnership, joint-venture, and corporate-governance disputes, including the CEO of an international logistics company; partners and officers in a variety of hedge funds and investment companies; and partners in multiple law firms and professional-services firms. As lead counsel for a major vehicle manufacturer in a contract action, James obtained a complete defense judgment following trial. James recently represented a beverage company in a shareholder-oppression case, obtaining a seven figure settlement that amounted to well more than 100% of the client’s claimed damages. As lead trial counsel for a major healthcare company, James recently obtained two temporary restraining orders and a preliminary injunction in restrictive covenant and contract disputes. James recently served as lead trial counsel for a pharmaceutical company in defense of claims arising out of a joint venture. After a multi-day trial, James obtained a complete defense verdict for his client. James was lead counsel for a national bank in defense of legal and equitable claims brought by another national bank. James successfully defeated all of the claims asserted against his client, and he obtained a partial recovery of his client’s attorney’s fees. James has represented a variety of firms in disputes with local and state governments over the awarding of public contracts. Recently, on behalf of a national technology company, James challenged the award of a multi-million-dollar contract to a competing firm and ultimately negotiated a resolution that awarded a substantial portion of the contract to his client. James often represents directors, officers, and entities in connection with subpoenas and requests for information by the SEC, the U.S. Department of Justice, and state securities regulators. James is currently trial counsel for the defendant in an insider-trading case brought by the SEC in federal court. James recently served as lead trial counsel for a medical-equipment company in defense of claims brought under the federal False Claims Act. James is lead counsel for a pharmaceutical company in defense of claims arising out of the manufacture and marketing of a generic drug. James represented a medical-products research company in a complex contract and tort dispute, obtaining a 100% recovery of his client’s claims. He also recovered a portion of the attorneys’ fees incurred by his client. James represented Undisclosed LLC—a national podcast with millions of regular listeners—before the Supreme Court of Georgia. James’s oral argument was described by one lawyer as “quite possibly the finest example of appellate advocacy I’ve heard; it was on par with the best [Supreme Court of the United States] appellate advocate.” You can watch a video of James’s argument here. Recently, James successfully argued before the U.S. Court of Appeals for the Eleventh Circuit on an issue of first impression concerning the subject-matter jurisdiction of the federal courts. In a published opinion, the court agreed with James’s arguments, holding that jurisdiction did exist. James represented a group of online travel companies before the Supreme Court of Georgia in an action challenging a basic premise of the companies’ business models. James briefed and argued the case before the Supreme Court. James represented a Fortune 100 telecommunications company in a federal appeal of an order certifying a nationwide class in a business dispute. James represents companies and their officers, directors, and employees in investigations and enforcement proceedings by federal and state securities regulators, including the Securities & Exchange Commission and the Financial Industry Regulatory Authority. James currently serves as lead defense counsel in a civil action brought by the SEC alleging insider trading. James represented a major brokerage firm in a week-long securities-fraud arbitration. Following the trial, the arbitration panel returned a unanimous judgment in favor of the brokerage firm, rejecting all of the claimant’s claims. On behalf of an Atlanta-based securities underwriter, James obtained an early dismissal of an action in the U.S. District Court for the Southern District of New York. Of the approximately 30 defendants in the action who filed motions to dismiss, James’s client was the only one to be dismissed from the action without having to engage in any discovery and without having to pay anything in settlement. James is lead counsel for a state licensing board in two federal antitrust actions raising novel issues of state-action immunity. On behalf of a construction firm, James successfully litigated RICO claims arising out of a publicly financed airport construction project. James not only obtained a 100% recovery of the client’s claims—he also obtained a recovery of attorneys’ fees. James has represented multiple securities underwriters and broker-dealers in RICO actions involving a variety of issues, including offerings of mortgage-backed securities and short sales of securities. James represented a publicly traded fuel retailer in a federal antitrust action involving allegations of boycotting and attempted monopolization. James represented one of the country’s largest manufacturers of building and paper products in multiple product-liability class actions in federal courts all over the country. James is counsel for a class of public retirees in a federal class action over retirement health benefits. James represented a Fortune 100 telecommunications company in multiple nationwide class actions challenging the company’s compensation practices. James represented a publicly traded fuel retailer in multiple consumer class actions concerning the manner in which motor fuel is sold at retail. James has conducted many internal investigations into alleged fraud and employee misconduct, including an internal investigation for a high-end retailer into alleged fraud by the company’s CFO. At the conclusion of the investigation, James got the CFO to confess to having embezzled a substantial amount of money from the firm. On behalf of a large privately held company, James recently conducted an internal investigation into widespread employee fraud and theft. James represented a special committee of the board of directors of a publicly traded telecommunications company in an internal investigation into the backdating of stock options. 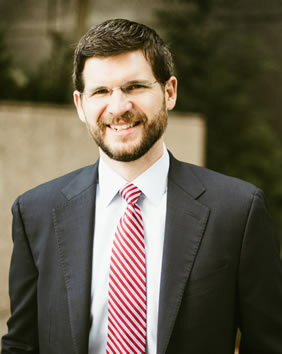 James recently served as lead counsel in voting-rights litigation challenging the system by which the state of Georgia processed and reviewed voting applications. The litigation ultimately resulted in a settlement that restored the voting rights of over 50,000 Georgians. Twice, the U.S. District Court for the Northern District of Georgia has appointed James to act as trial counsel to litigate a pro se plaintiff’s federal civil-rights claims. In both cases, James obtained a very favorable result for the client.